BBMJ Youth Health Sports Camp was founded by Bryson Abernathy and Julia Jackson in 2015. Our founders are parents of 4 children aging from 5yrs to 16yrs old. Bryson and Julia combined have over 30 years of experience in playing and coaching sports. The BBMJ acronym stands for each of Bryson and Julia’s children. They are the inspiration behind the ideas that helped inspire the mission, concepts and purpose of BBMJ. 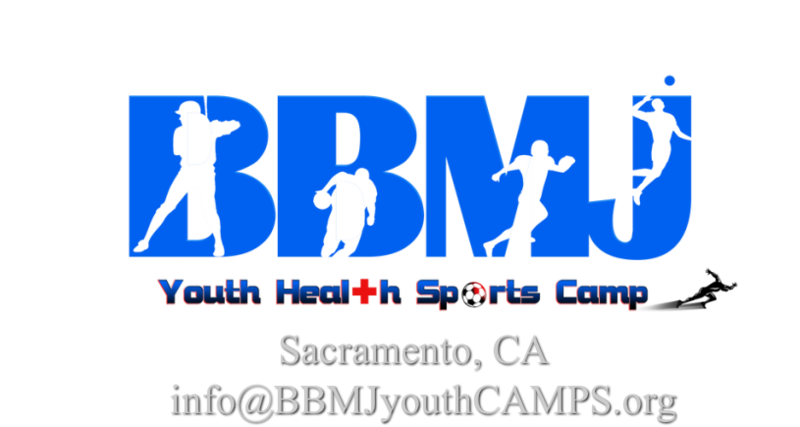 BBMJ is a non-profit educational youth health sports program. We teach the importance of living a balanced lifestyle through active living and nutritional intake. “Our mission is to introduce children (3rd to 6th grade) to sports with key fundamentals and training techniques while empowering children with a step by step process for healthy living." It is our duty to educate youth regarding healthy food intake and nutritional choices. Teaching youth at an early age is key to developing a healthy life style. It is our focus to introduce the fundamentals of sports to the youth while building self-esteem, respect, and healthy living. Traveling Camp Program: BBMJ travels to local community sites and teaches children (grades 3rd-6th) sports and health. This camp is offered for three weeks (15 days) and is FREE to participate. During this program, children are given healthy snacks, taught valuable health lessons, participate in total body fitness regimens, and play beginner level sports. Community Leaders are encouraged to contact us to arrange dates and times. We are a community non-profit and we cater to the needs within the County of Sacramento, CA. Community leaders are encouraged to reach out to us to determine if our program is right for their needs. Community Philanthropy: BBMJ volunteers at community events. If you would like BBMJ Directors and Volunteers to attend an event, please contact us. We are capable of providing guest speakers, run our Health and Wellness booth, as well as host/run health and sports activities. BBMJ offers low cost training camps throughout the year to assist our outreach efforts to the community. Camp costs go directly to our program operations that help fund our traveling camps. For interest in the training camps please See Training Camp Tab for more information.